Among the 23 beautiful waterfalls of Iligan, Tinago is considered the most treasured jewel of the city. The falls are literally hidden at the depth of Barangay Ditucalan. On a blessed day with a good weather,we decided to visit this much talked about waterfalls. Upon reaching the jump off point, the children of Sitio Diticulan cheerfully welcomed us and offered themselves as guides going to the staircases leading to the falls, of course they asked for guide fee –Php 20.00 the minimum. Two local kids led us up to the edge of the concrete winding stairs, and from there we endured more than 300 steps going down but I was most worried part was the climbing back up after our visit to the falls: stairs are my worst enemy of all time. From the very first glance at the falls, I was already got awed by its magnificent and enigmatic beauty. The drops are like curtains swayed by the wind making it look like being blown, spreading its width that resembles like an upside down Japanese fan. Beautiful and exotic ferns and orchids add up as priceless backdrop of the cool cascading water from a 73 meter high cliff. The multiple drops –at least 5- are scattered filling the blue colored lagoon of Tinago. We took a jeepney that passes by Buru-un. At the side of the mini market or talipapa of Buru-un, habal habal are waiting for passengers bound to the park and resort in the barangay. After a 15 minutes ride, we paid Php 50.00 going to the jump-off to Tinago Falls. There was an entrance fee of Php 20.00. Since we did not bring packed food, we opted to buy some drinks and bread at the mini store of the caretaker. They even offered us a place (a tree house) where we can spend the night in case we decided to stay and leave the next day. But since we are on a tight schedule we decided to follow our prepared itinerary. 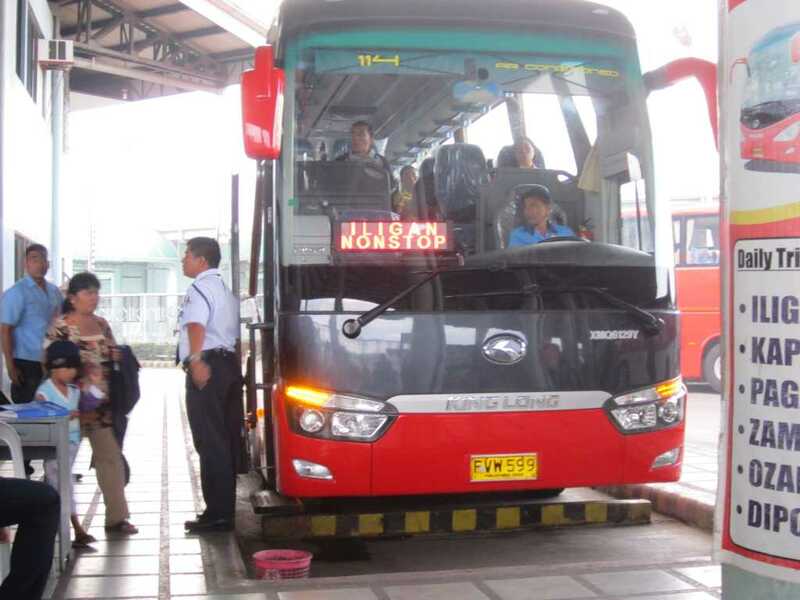 Iligan bound buses are stationed at the Bulua Terminal Station in CDO, the fare is around Php 100.00. Alight at the north terminal bus station of Iligan City. Outside the station, jeepney passes by bound to the city proper. From the city proper, take a jeepney heading to Buru-un or NPC. Inform the driver that you will alight at Tinago Falls. 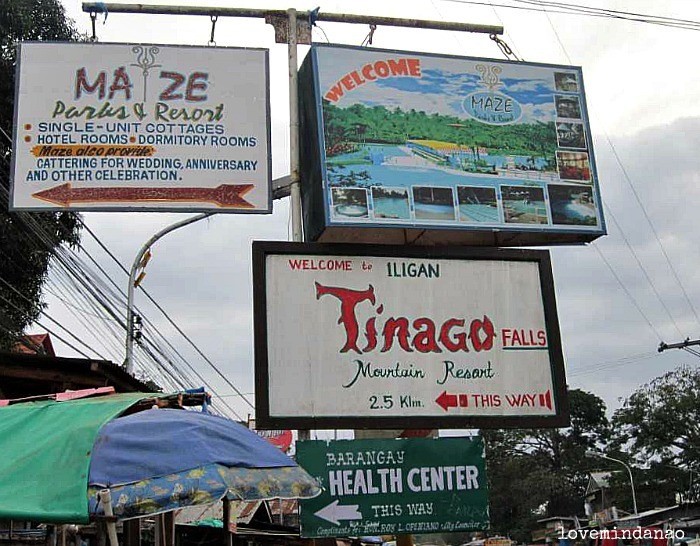 You will notice that you are in the right place when you see a sign on the left side of the road “TINAGO”. Take a habal habal going to the jump off to the waterfalls. As usual Ganda ng mga photos Dennis! luv the way u write ur posts- very detailed at talagang pwedeng reference:) keep it up bro! I really like reading legend stories and this one is a good one. Tinago falls is really beautiful. dami pala ng waterfalls. 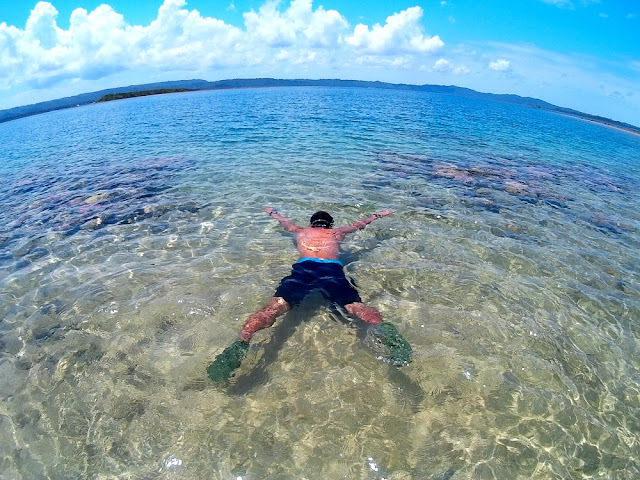 i'm a nurse traveler all over northern mindanao. im from cdo and i always pass by iligan. i've been at tinago too. totally nakakapagod pag.akyat and what's scary is when the guides advise us not to sit down or else we'll collapse dw. the worst part, the sun was already down when we started climbing up.hehe delikado na talaga. your legend got me there! but i'm reminded how beautiful people is in the midst of my angst towards the government. and the information is very helpful. Wow! !nice view. How I wish I can go there! !Especially the falls it looks really great.. 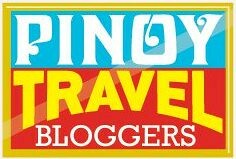 Thanks for sharing this to me and for your soon article for OFW...Two thumbs up! 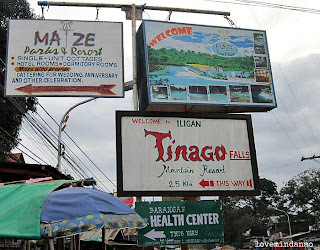 I've never been to Iligan but if and when I get to visit the place, I'll sure stop by and see Tinago Falls! Great story! Beautiful falls! I hope people there will be able to maintain it's beauty and cleanliness. I forgot how magical it is to listen to a local legend. When I was still a little girl and living in the Philippines I used to read books with different legends. Iligan seems to fit the magic of the legend. I've never been there, and I am sure I'll be coming back to this blog when the opportunity arises and we could visit Tinago Waterfalls. Wow! This is truly breathtaking! I'd probably be sitting as well just staring at it for a while and marvel at it, before jumping right in. The falls look very inviting!! Wow! Tinago Falls is a beautiful place isn't it! The giant, cascading falls shows the raw beauty of nature. Oh! You should have visited MSU-Marawi CIty ! The "Sleeping Lady" across the Lanao Lake as seen from the MSU-Main Library would be too impossible to ignore. I like your blog so much! I miss Lanao!